As I said, we’ve returned to our Android apps and the first result is this version 1.1 update of our most popular mobile app: the CLZ Barry barcode scanner. Scan in Portrait Mode: It is now possible to scan barcodes in Portrait Mode. Enter a Quantity after scanning a barcode. Send barcode lists with quantity values to your desktop computer. Configure delimiters between barcodes and quantities. The 1.1 update is free and can be downloaded from the Play Store now. A similar update for the iOS edition of CLZ Barry will be released in a few weeks. 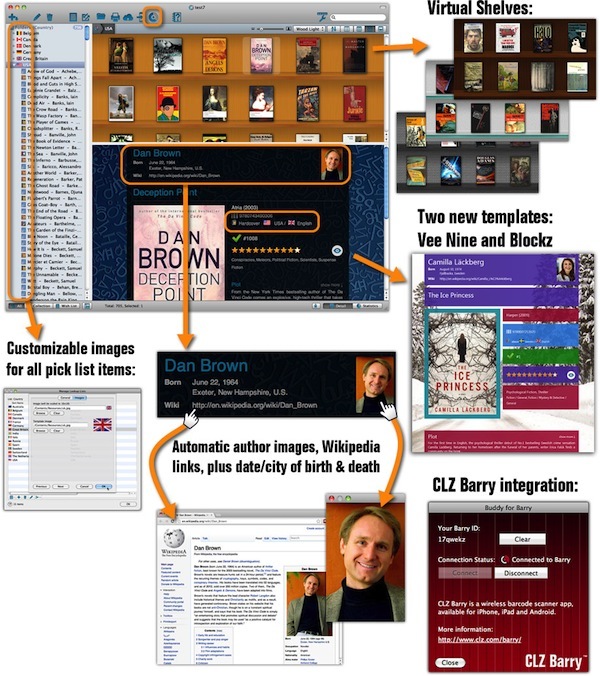 Over 700 Book Collector for Mac users have already upgraded to version 9 (live on May 1). For the full list of What’s New in V9, go here. Remember: Core is our new system for reporting missing entries and data errors in our online central databases. Core editions for movies, books and music are live already. This month we finished Core for Comics and integrated it into Comic Collector in v5.4. The new web-based Core for Comics system *replaces* the old “Submit to Collectorz.com”. Core gives you more insight in the data we have and more control over the data you submit. And: Core for Comics now finally lets Mac users join in the fun of submitting comics! To use the new Core for Comics system, you need Comic Collector 5.4 for Windows or Mac. To get this update, just use Check for Update in your current version (free for v5 users). I know, I know, it’s been way too long since we last updated our CLZ Android apps. iOS apps has been transferred to our Mac developer Patrick. Which has freed up our main mobile developer Pim to work on Android *full-time*. through Connect, adding and editing capabilities and an integrated barcode scanner. update. This way you can enjoy the first improvements in a shorter time-frame. then please join our CLZ Android Club. As indicated above, our Mac developer Patrick has taken over all iOS development. Patrick is currently working on updates for all apps with better looking templates (based on the Book/Movie Vee Nine templates), backdrop support (for movies and comics) and automatic YouTube trailers (for movies and games). If you’re using an iOS device (iPhone, iPad or iPod touch), I recommend to join our CLZ iOS Club for news about these updates. 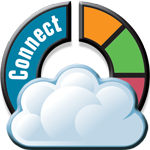 Currently, over 19 thousand users are enjoying our free cloud-syncing and cloud-storage service “Connect Sync & Share”. On top of that, 6 thousand users are using the paid Full Connect service ($19.95 per year), a fully standalone cataloging tool with online adding and editing capabilities. So it only makes sense that we are spending more and more time to improve this service. At the moment, both Robbert and Sven are working on Connect, now focusing on improving the syncing features, then later on the software itself (e.g. mobile adding & editing). Keep an eye on your inbox in the next few weeks for more details. That’s all for today. Come check us out on Facebook for more frequent CLZ updates!